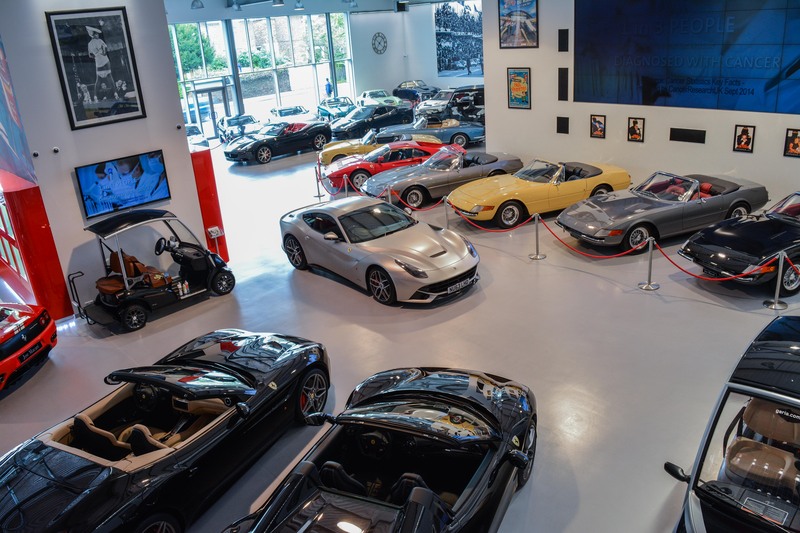 Joe Macari is one of the most renowned names in the classic car business, his showroom in London a wonderland of racing cars, supercars and hypercars of all eras, plus the occasional dalek. A racing driver and car nut himself who spends much of his time crisscrossing the world to secure multimillion dollar deals on automotive rarities, Macari has high net worth customers all over the globe and cuts a flamboyant figure commuting to work in his $3m 1960s Ferrari Daytona Spider, cigarette firmly planted in mouth. Macari also has an official Ferrari and Maserati servicing workshop, and was recently appointed an Approved Ferrari pre-owned dealer. For our Luxury Leaders series he speaks to Darius Sanai about his maverick reputation, Brexit, and the hottest cars to buy now. LUX: How is the classic car sales business? Are modern classics important, or just incidental? Joe Macari: I would argue that the classic car business is as strong as it has ever been! 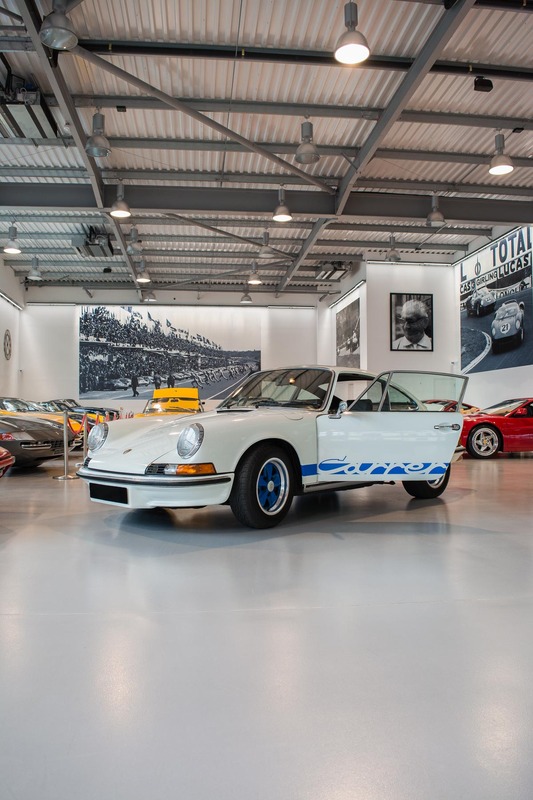 classic cars are now, more than ever, seen as a very strong alternative asset class, with a series of incredibly strong auction results proving that people are willing to pay good money for good cars. LUX: Is the younger generation as passionate about the mechanics of cars as the older, and is that a problem? Joe Macari: I think that there will always be a huge proportion of young people who take a keen interest in mechanics, it’s a timeless interest that evolves with the leaps and bounds technology takes over the course of time. I don’t think we’re in any danger of experiencing a shortage of petrol-head technicians any time soon. LUX: Are people more or less into racing than they were when you started out? Joe Macari: I think racing has become more popular and accessible. F1 has obviously changed massively over the last few years, and my perception is that the changes have led to a migration of sorts. 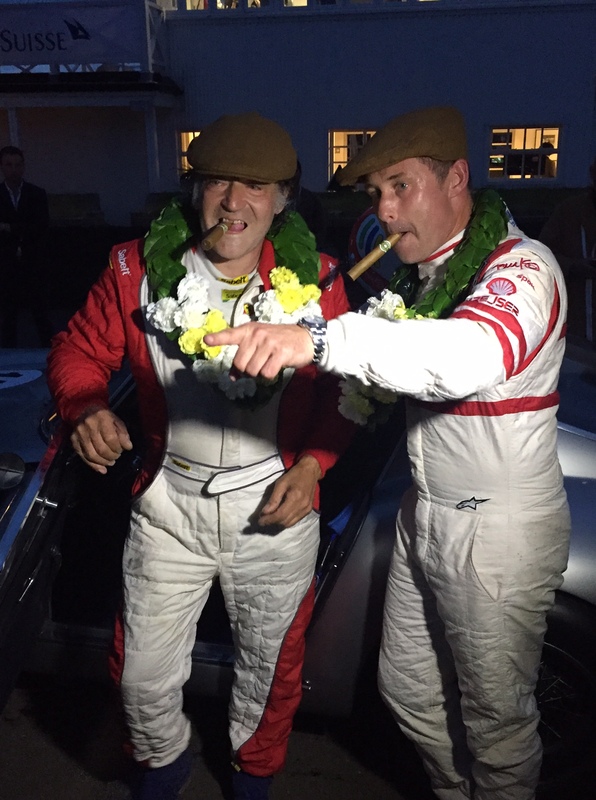 People seem to be more and more interested in events like Goodwood Revival and other classic car racing events in order for them to get their fix of unadulterated, noisy, raw racing. LUX: How has the typical buyer changed over the decades? Joe Macari: Certain areas of the world have changed tastes over the years. For example, the Middle East is really waking up to how investable the classic car market is. Obviously there have always been a number of collectors from the Middle East who have sought after classic cars, but there seems to be a broadening in the consumer demographic. Ultimately though, the buyers haven’t changed a great deal. Every single person who buys anything from me shares a burning passion, one I quite obviously hold very dearly, and have used their passion to drive themselves to a level of success whereby they are in a position to buy into their dream. Very few industries share that trait. LUX: What is hot in the market right now? Joe Macari: Ferrari are the pinnacle of the classic car market, almost every variant of the 250 sits at over £1m. The Testarossa (particularly the Monospecchio) and the 206/246 Dino are two cars that are picking up value very quickly. Anything limited Edition from Ferrari tends be a safe investment; the 288 GTO, F40, F50, Enzo, Challenge Stradale, 430 Scuderia, 599 GTO, LaFerrari and F12 TDF’s have all picked up value hugely from their list price and seem to be continuing to rise in value. LUX: Is the classic car market overheated? 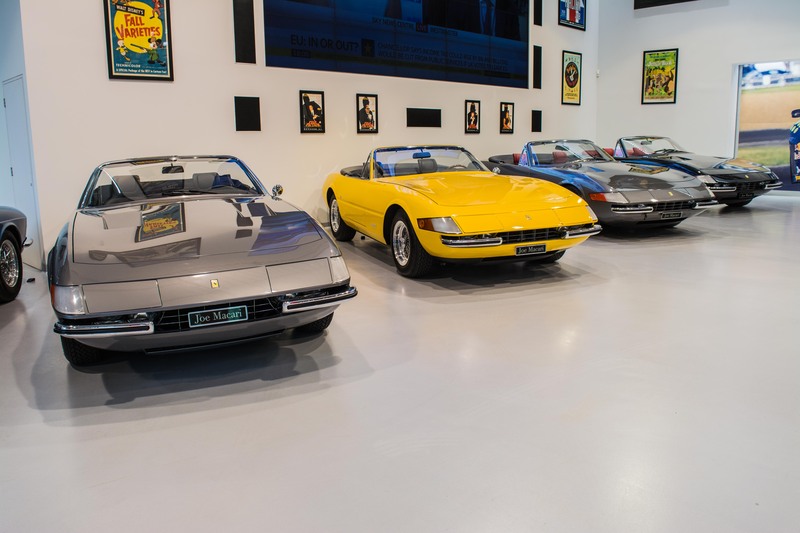 Joe Macari: Not in my opinion, were that to be the case we’d be seeing average cars sell for huge money and a quick browse of recent Auction Results will show you that people hold provenance and condition of the cars in high regard. If a car has very obvious flaws, it won’t make money. If a car has questionable history, it won’t sell. If we ever reach a point where very obviously terrible cars are being sold for far more than they’re worth, then there would be cause for concern, but until then I firmly believe the market to be the healthiest it’s ever been. LUX: Some 1950s and 60s Ferraris sell for multimillions. Will the newer ones ever do so (even the limited editions)? Joe Macari: Undoubtedly so, it all boils down to the relationship between supply and demand. The supply of past-generation Ferraris remains fixed, however as the younger generation reaches financial maturity the demand for these cars increases, resulting in rising price. We saw a LaFerrari sell for $4.7m at Pebble Beach in August, who knows where they’ll be in 10 years time! LUX: Do people really buy the cars they hankered after when they were kids – does that mean the 50s and 60s cars will drop in price as their owners get old/pass away? Joe Macari: Not at all! The value these cars have accrued has given them serious kudos amongst the younger generation, I can’t conceive of a time when a 250 GTO or California Spyder are seen as “just another old Ferrari”, they are primarily works of art, and much like art they will continue to cause a reaction and be desired by many. LUX: What gives you the greatest pleasure in your business? Joe Macari: Witnessing the transformation a car goes through during restoration. We take a car in average condition at best and pour our blood, sweat and tears into making it as beautiful as it was the day it rolled off the production line. I can think of few feelings as totally satisfying as seeing a customer’s face when they see their “new” car for the first time. LUX: What makes you most frustrated? Joe Macari: Potential not being utilized to its fullest extent. When someone isn’t doing as good a job as I know they’re capable of doing I get very frustrated. I don’t tolerate carelessness because in my mind the only reason one gets involved in the motor industry is because they have a passion for it, if you aren’t working at your best then you’re clearly not passionate about it. LUX: Do you purchase many cars and hold them back before selling? What car would you like to purchase for your business, that you haven’t done already? Joe Macari: The only reason that would happen is if we’re planning on restoring a vehicle, we have storage with a number of cars in varying stages of restoration but very rarely, if ever, would we buy a car simply to hold it off market and then sell it at a later date as space is a very valuable commodity. LUX: What is the effect of Brexit on your business? Joe Macari: I think we’ve been relatively fortunate, obviously we specialise in LHD (left hand drive) cars which means that due to the swaying currency our cars became cheaper for Europeans quite literally overnight. A large proportion of our clientele tends to be relatively immune to financial shocks, so the demand for high performance cars is still very much alive. LUX: Some years back you became an official Ferrari service centre, and now you are an official Ferrari approved used car dealer – is this significant and what does it mean? Joe Macari: Above all else it bestows a huge sense of confidence onto our clients that we are supplying the absolute best product that we possibly can be. The fact that before we sell a car we’re able to perform Ferrari Approved Servicing and Sales Prep, as well as provide the customer with ongoing maintenance support, puts us in a position that very few other people find themselves in, and ultimately makes our business unique amongst a host of other very competitive businesses. LUX: People refer to you as a maverick. What does that mean? Joe Macari: I suppose people see the showroom and the service centre & imagine they’re run by someone in a suit; I think seeing me with greasy fingers and a cigarette in my hand comes across as a bit of a juxtaposition when in actual fact I like to lead from the front. I gain more pleasure from putting a car back together than pretty much anything else on earth, why would I turn my back on my roots? LUX: You have good personal relationships with your big customers. Is that important? Joe Macari: Relationships are without question the most important aspect of any business, anywhere. The friendships I have forged over my years in the industry are far more important than any deal I’ve ever done, the fact that people trust me enough to return to me for business is something I don’t take lightly, it spurs me on to maintain the standards I have become known for. LUX: How do you secure the cars you want, when everyone wants them? Joe Macari: By building relationships and gaining trust. Everyone knows that if they need a car, I can find it for them. They know that the car will undergo the highest possible level of scrutiny and ultimately I have cultivated an environment around me and my business whereby people selling through me know that they’re getting the best deal they possibly can. Everything lies in relationships and trust!